. :: Ahsanul Kalam | Home ::. Ahsan-ul-Quran is comprised of a high powered reader device which demonstrates the required passages from the Holy Quran. It encompasses an exclusive technology which contains the ability to thoroughly scan and narrate any Surah or Ayah you wish to recite. Place the pen on any passage and the user can benefit from crystal clear voice to listen the recitation.For focused listening and to avoid voice distortion caused by noise in the environment, earphone can be used by the audio port in the pen for listening the recitation. Ahsan ul Kalam smart e-quran teacher's two unique features; comparison and comprehension of "Tafseer" will assist you in understanding the Holy Quran. User understanding is further strengthened as it gives the option to choose any of the available "Qaris" to read in 12 translations from the Arabic. The memorizing feature of smart e-quran teacher makes it easy for the users to understand and memorize the passages of the Holy Quran by heart.Themakers of smart e-quran teacher assembled it by carefully considering the various scientific methods to memorize and learn the Holy Quran. Islam gives us a complete framework of the Muslim life. The five pillars of Islam are the testimony of faith, prayer, giving zakat (support of the needy), fasting during the month of Ramadan, and the pilgrimage to Makkah once in a lifetime. "At present time of technology, Ahsan ul Kalam is the perfect combination of digital engineering. I will suggest everyone to keep a copy in their houses and whenever children open book, make them teach with the help of Ahsan ul kalam." 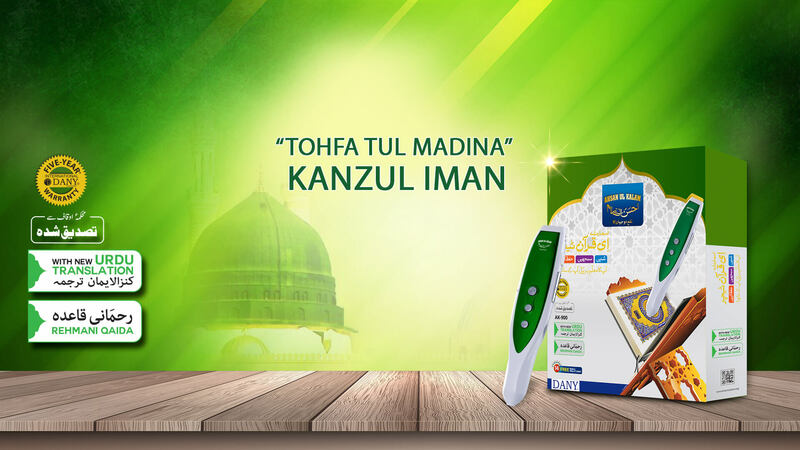 E-Quran Teacher is a pen especially designed by Ahsan ul Kalam to help individuals for reciting, listening, memorizing and understanding Holy Quran. Now learning and understanding the Holy Quran has become quite easy with this incredible device. You can learn it from the comfort of your home. 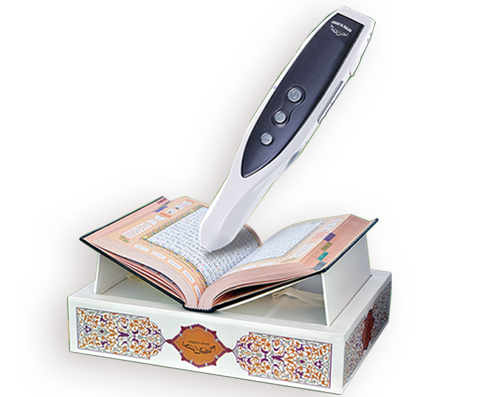 This powerful device has a unique technology to scan and read any page in the Holy Quran. For listening or recitation, you just have to place the pen over the page, chapter or verse in the Holy Quran and then it will start reciting that page or verse. It has twelve voices of worldwide famous Qaris. It is comprised of Tafseer-e-Usmani and has twelve pocket cards related to the method for namaz, ahadiths and the like. 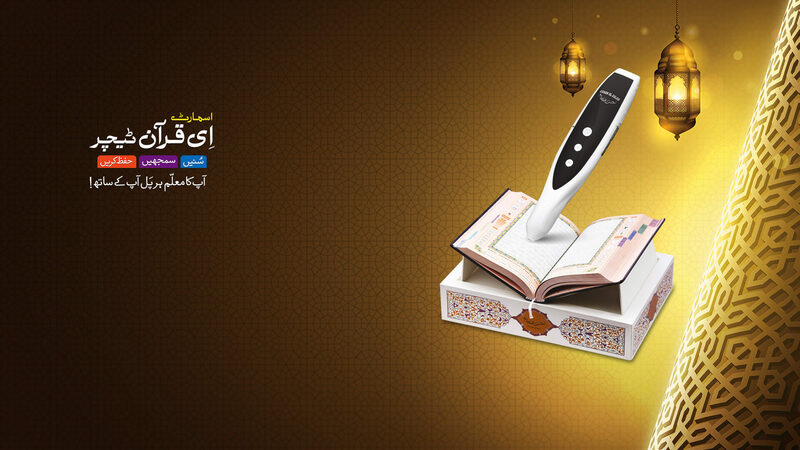 This device is a revolution in E-Quran learning. By taking advantage of the modern technology, learning Quran has become easy for everyone with this E-Quran teacher. Now you can memorize, understand and recite Holy Quran from wherever you are. In addition to that, you can read the way to offer prayers, different ahadiths and recitation of Quranic verses in the voice of famous Qaris from all over the world. Just swiftly and smoothly moving your pen over the ayah allows the pen to scan the text, understand it and read out loud for the user to listen. For further demonstration please watch the video. Bring the Quran Teacher home! 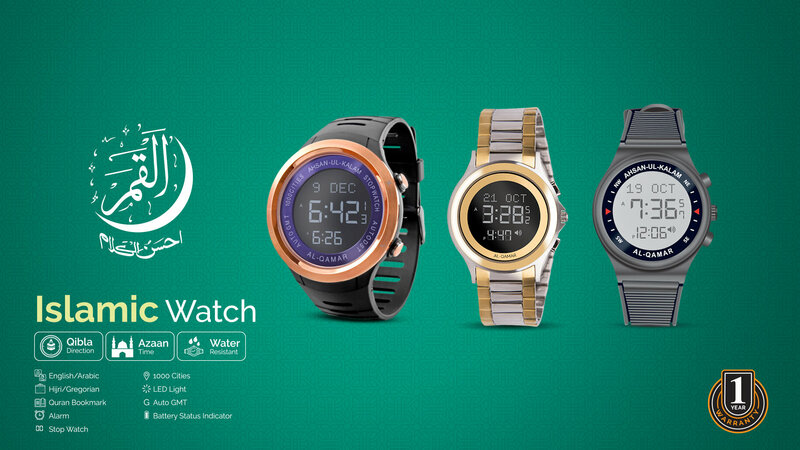 Ahsan ul Kalam is an Islamic gadget manufacturing company proudly associated with a world renowned electronic company DANY Technologies functioning in the circulation and development of premium electronic brands since 2001. Headquarters: Plot# 55A, S.M.C.H.S, near Gulistan Public School, Shahrah-e-Faisal, Karach.